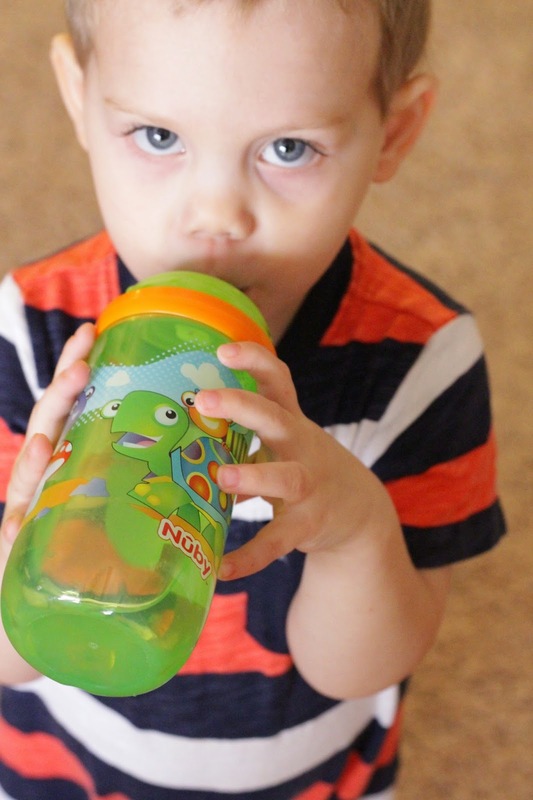 Milo's transition to sippy cups was slow and tedious. 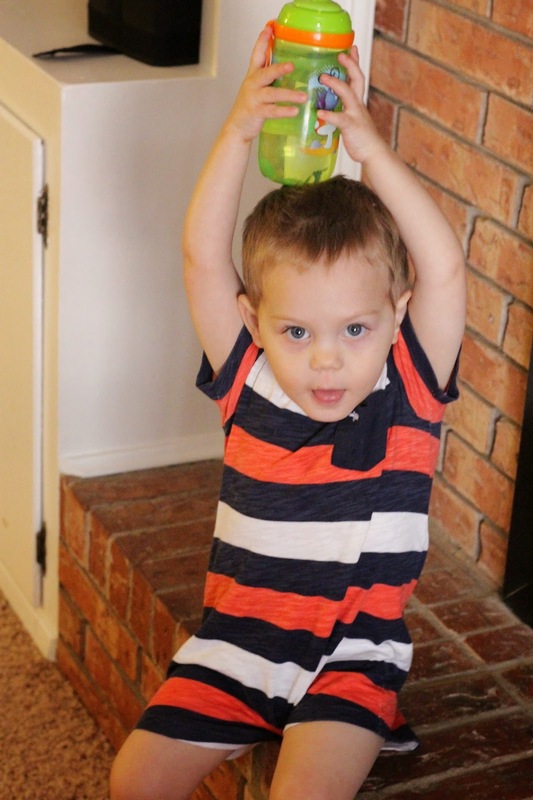 We tried about a million different types of cups to find anything he would even use, because he likes being a goober like that. For a while, all he would use was soft tip cups, then he finally graduated to hard tips. Our other big issue was leaking. 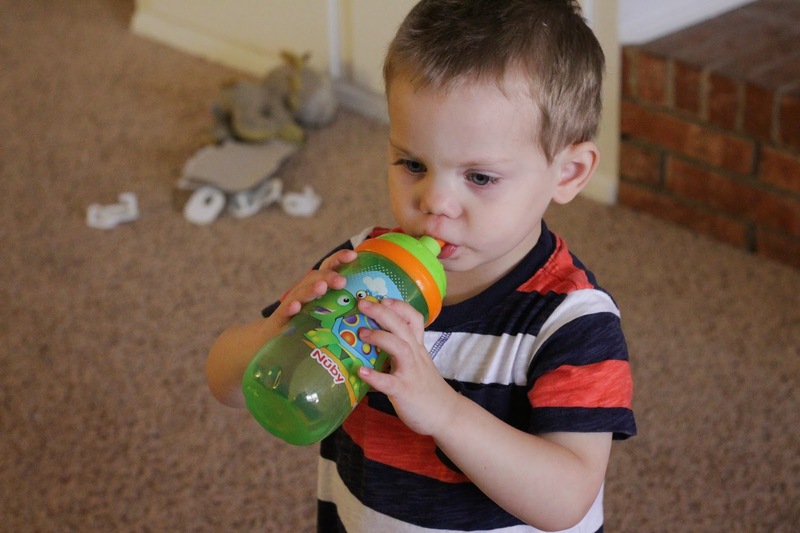 I always have a beverage out and accessible for Milo, and with some of his cups, he thought it was really fun to squeeze the tip and make puddles to play in. Typical Milo behavior, but not my favorite thing to surprise me barefoot in the kitchen. Who knew that cups could be such a finicky part of motherhood? He's finally old enough now that he mostly uses his cups for drinking instead of playing, hallelujah. 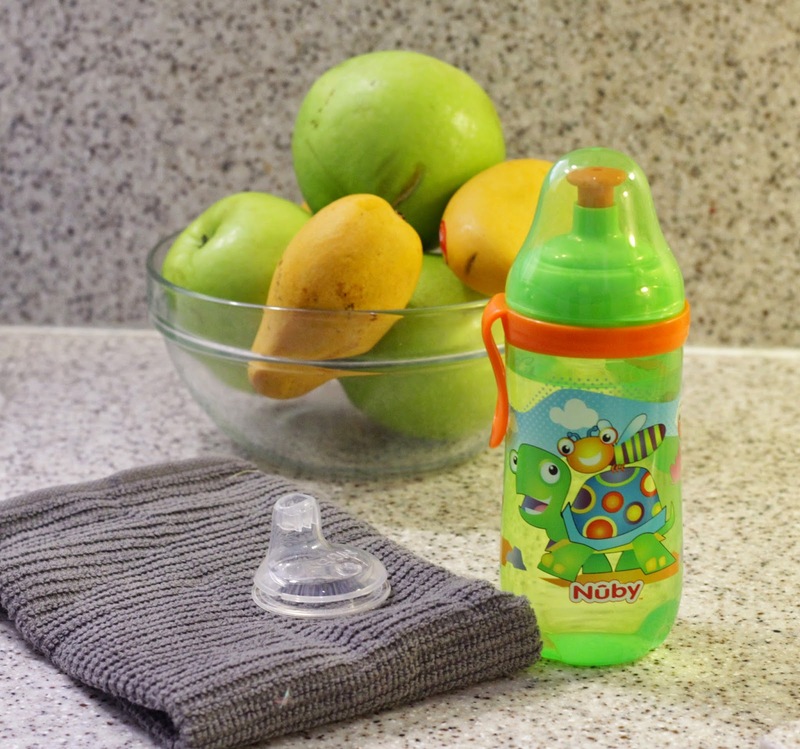 When we got his Busy Sipper 2 Stage Cup from Nuby, he would not put it down until I filled it up for him. 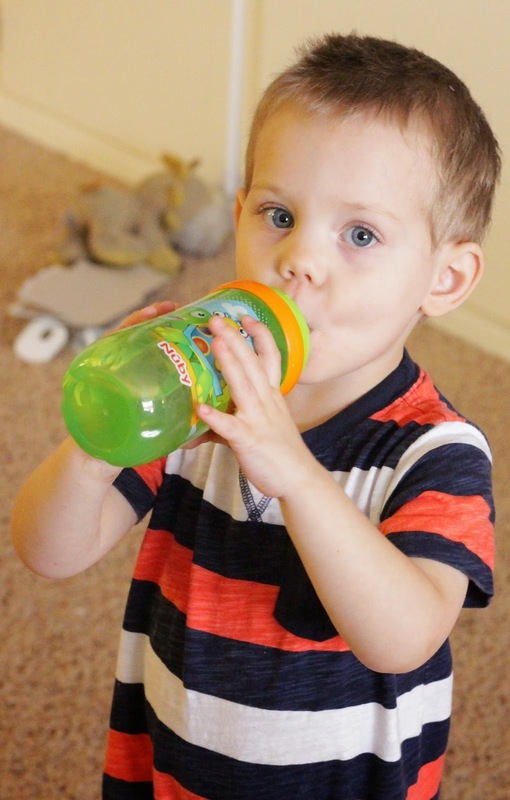 This kid has a thing for cups, and I'm OK with it because I like keeping him well hydrated! 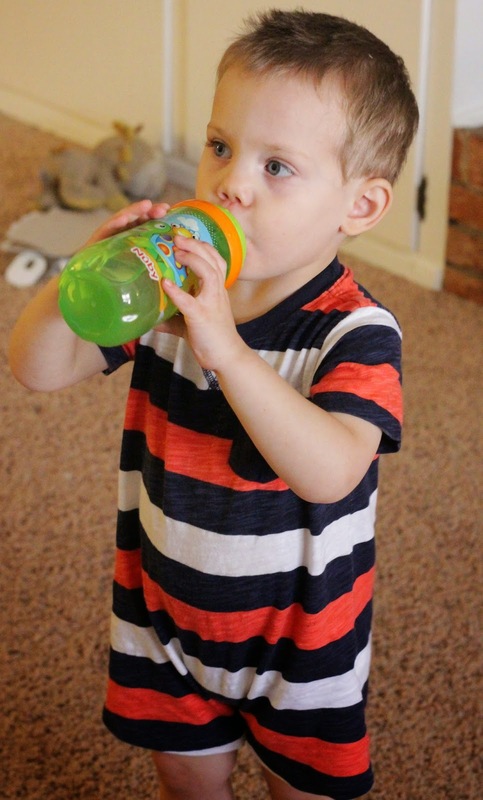 It's his most "big boy" cup he's had to date, and it's pretty perfect for him at 2. It travels SO well in the diaper bag, and is super convenient for the car. 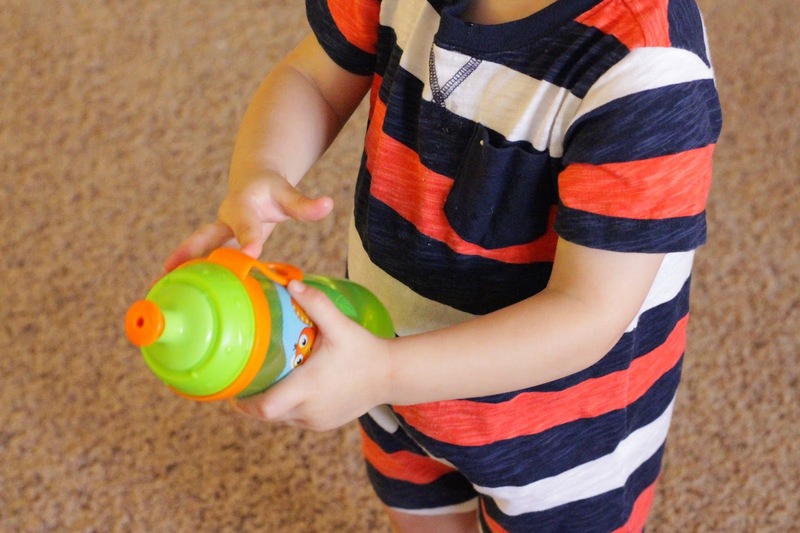 -The tip snaps down securely so it doesn't leak, but not so securely that Milo can't get it open on his own, which makes it easy to throw at him in the car. There's also an extra lid just in case, which I love for travel. -It fits in car cup holders! 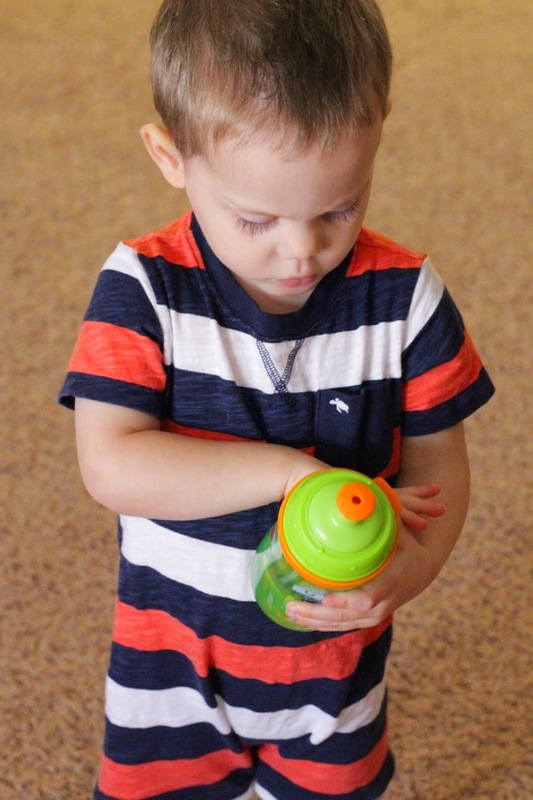 I've been amazed at how many of his sippy cups won't fit in a cup holder, and it's so nice to have a water bottle style cup that fits no problem. -The mouth is big enough to fit big ice cubes in, which is fabulous in Texas in the summer! -He can hold it easily- it's not too big or too small. -It doesn't look too much like a baby cup. Milo doesn't drink well out of real cups yet (mostly because I very rarely let him practice- I'm just not so much looking for that mess right this second!). This one is respectably grown up for him without being messy. Perfect. -This cup comes with an interchangeable soft tip for 6 months plus. We don't use it for Milo, but I will definitely use it for my future babies. It would have been perfect for his transition from bottles! -He can drop it on the floor while he plays without me being worried that it will leave behind a puddle. -It's adorable to boot. Not important for functionality, but you can't discount that adorable turtle as an added bonus, right?! -The ONLY downside is that since it is slightly soft plastic, Milo can squeeze water out of it if he shakes it hard enough. Not a problem if your child isn't unruly, but if they are, and they get too bored in the car, watch out ;).